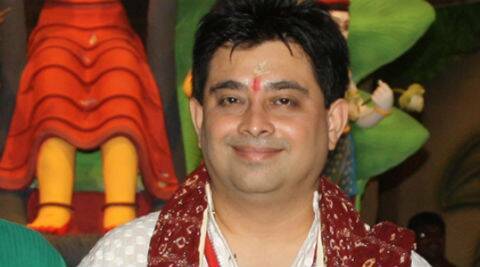 Jeet Gannguli: Music and theatre have been an integral part of my life. For someone who is the eighteenth generation musician in the Gannguli household in Kolkata, Jeet Gannguli has definitely come a long way. He started singing lessons at the age of five under the tutelage of his musician parents. “Music and theatre have been an integral part of my life. I was actively involved in music during my childhood and participated in a lot of theatre activities during college. I am also a guitar player and took lessons under a Jazz guitarist in Kolkata,” adds Gannguli. A known name in the Bengali film industry, Jeet’s journey in Bollywood started when Sanjay Gadhvi gave him and music composer Pritam the first break to create compositions for the director’s debut film, ‘Tere Liye’. But fame knocked Jeet and Pritam’s door only with ‘Mere Yaar Ki Shaadi Hain’, the music of which became quite popular. The duo went on to part ways after that and Jeet began focusing on his Bangla projects. “Films like ‘Paglu’, ‘Boss’, ‘Rangbaaz’ in Bangla helped me earn a lot of appreciation and awards. I have always believed in doing quality work, instead of opting for every project that comes my way. Maybe that’s why, you hear less of my work,” stated Gannguli, whose recent compositions in ‘CityLights’ has been appreciated by several music enthusiasts, including producer Mahesh Bhatt, who confessed that Soney do is a remarkable composition. “While we start working on a film’s music before or during the making of the film, ‘CityLights’ was different. The film was already complete, after which Mukeshji (Bhatt) and Hansal (Mehta) called me. They asked me to watch the film and then decide the kind of compositions that can be created to suit the film’s narrative. The fact that I could relate to the story and understand the emotional journey of the characters helped me to create the right melodies,” added Gannguli. Apart from his signature style of soft, contemporary tunes, Gannguli used a mix of Indo-western and classical ragas to create five tracks in the film, with each song supporting a sequence or setting in the film. He also brought together Ustad Rashid Khan and Usha Uthup for the title track, which is a fusion of classical and western melodies. “The new generation is fond of fusion music, so I decided to incorporate classical tunes because I think it’s very important for people today to touch base with their roots and listen to raga based songs. The likes of Madan Mohan, Dinanath Mangeshkarji, Shankar – Jaikishen among others were known for their classical melodies. We need to bring back that era,” mentioned Gannguli. With very little time on hand, the songs were composed and recorded over a period of 15 days, since the makers wanted the album ready. With Muskurane and Soney do already winning hearts, Gannguli is a happy man. The composer is currently juggling between his Bengali and Bollywood projects simultaneously. He launched the music of the upcoming Reliance entertainment Bengali film, Game, last week and is currently in talks with Vishesh Films for another film. But Gannguli is excited about working on the music of Rohit Shetty’s ‘Singham Returns’, which is scheduled to release in August this year. “I am working on a few melodies and the listening sessions with some producers have begun. I am in talks with a few other film-makers as well, but the project that I am most excited about is ‘Singham Returns’. It’s going to be completely different from the kind of work that I have done in the past. ‘Singham Returns’ is going to be an out and out entertainer and I am working on an equally entertaining set of compositions.” mentioned Gannguli. With three more Bangla projects in his kitty, Gannguli is keen on focusing on film music and confessed that he will not venture into non-film music anytime soon. “I don’t want too much work. With God’s blessings and the audience as a strong inspiration, I would like to continue on this musical journey with more good work,” he concludes.